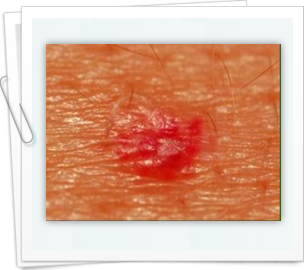 Melanoma is undoubtedly one of the most serious forms of skin cancers today. While the cancer rarely affects children, a recent study showed that children might still be at a high risk as adults. Even though cases of children suffering from melanoma are extremely rare, a 2 percent annual increase was recorded between 1973 and 2009 among children in US aged 19 years and below. Skin Cancer Foundation also revealed that a significant percent of pediatric cancers are related to Melanoma. The research showed that 1230 children of the 1317 children diagnosed with melanoma were white. As such, it was evident that chances of other ethnic and racial groups suffering from Melanoma are quite low than in whites where the cancer was so prevalent. Other studies done in the same field showed that adults have also become more vulnerable to melanoma as well. While the real cause of such a shocking trend might not be known, it is believed that over exposure to the harmful ultraviolet radiation are responsible for this. The harmful rays are either got from tanning booths or the sun. According to the findings of the research, melanoma in boys mostly showcased itself on the trunks and face. Also, the investigation showed that girls are highly prone to suffering from melanoma in their lower parts of the legs as well as hips. Still, melanoma has more serious risks on both adults and children including presence of light-coloration in the eyes and hair, fair skin and moles. In addition to this, melanoma has also been associated with a history of sunburns and melanoma in the family. Besides this, increased melanoma rates among children have also been related to tanning behaviors. Symptoms of melanoma in adults are also more or less similar as in kids and parents must always be on the lookout for changing moles and development of new skin lesions among children. One of the ways to protect children from melanoma is using a sunscreen with ability to block the two types of ultraviolet rays. Also, it is essential that the sunscreen is applied regularly especially when children are out there in the field exposed to the sun. Also, use of sun smart clothing will also help in protecting the children from melanoma as well. Medical specialists also stress on the importance of early diagnosis as an effective way of combating melanoma. While there is no compromise on the importance of sun protection and sunscreen in the efforts of preventing melanoma, the issue of changing and appearance of new moles among kids should not be ignored. If you are doubtful in anyway, it is essential that you go for a medical checkup. When melanoma is detected early, the chances of being cured completely are high.